This shampoo promises to cleanse and neutralise unwanted yellow/brassy tones in blonde locks, and leave your hair looking glossy. Fudge have re-vamped their packaging, it’s an easy to use tube meaning no wastage and it will look good in any bathroom. This unique hydrating hair drink complex with guarana repairs, hydrates, protects, restores and strengthens the hair. I’ve used it once so far (you shouldn’t use violet shampoos every time you wash) The Colour is a rich violet much darker than other violet shampoos. It lathers to a satisfying foam, you can leave it on for 3-5 mins, I choose to massage in and rinse immediately as my hair is already a pale blonde. The smell is delicious! It’s said that it contains sweet vanilla with hints of apple and pear, but to me the smell reminds me of pink bubblegum! it’s so yummy. My hair colour looks fresh and bright, it feels clean with just the right amount of hydration. It’s easy to comb and style and I’m pleased to say hasn’t gone static. My fine hair is prone to feeling overloaded or lank with other “blonde” products as they always tend to be heavy for my hair type, but not this one, it’s absolutely perfect! All in all I really like everything about this shampoo and would be happy to re-purchase. I will definitely use it once a week to keep my blonde tones looking cool. 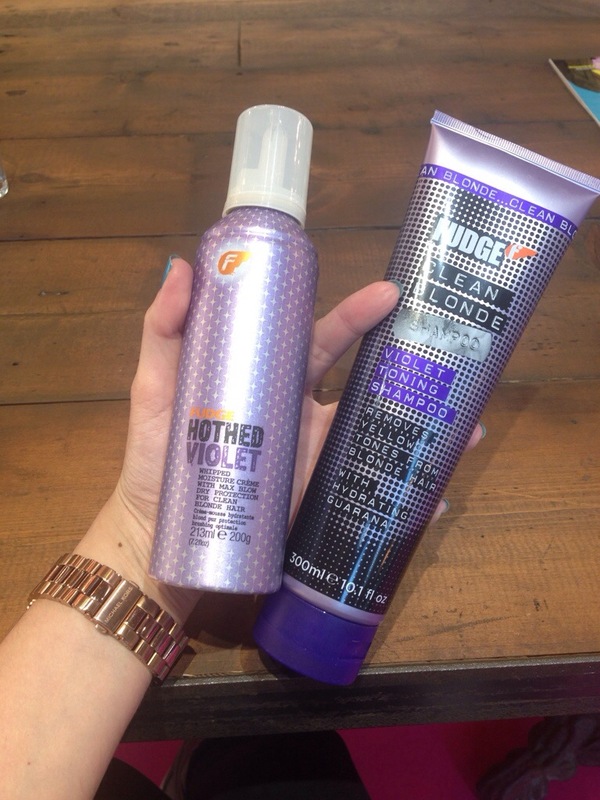 Can’t wait to try the Fudge Hot Hed Violet Whipped Moisture Crème. Supershine, yes please Mr Oribe!